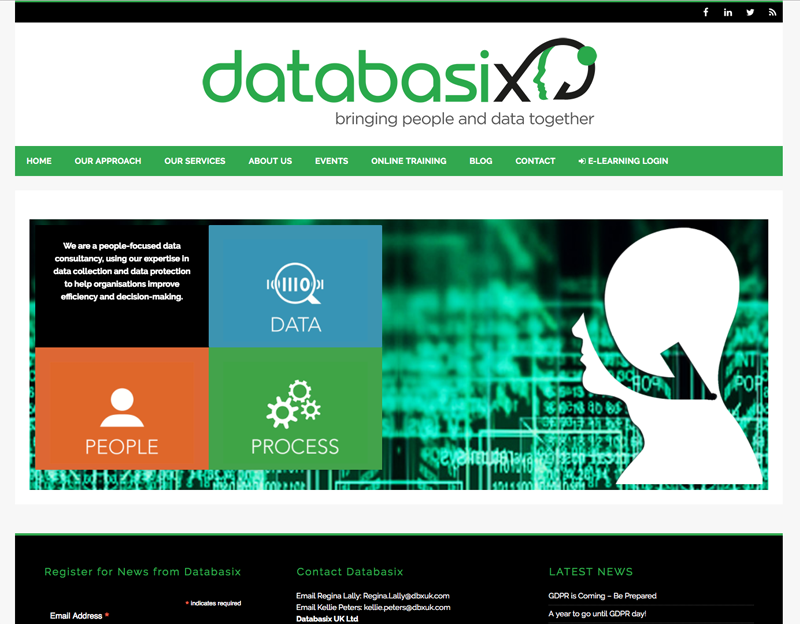 Databasix are a data consultancy helping companies make sure that they are doing the right thing with their data collection. They wanted a new website where they could sell and run online courses in data protection. They already had a good brand established which I translated into a website look and feel.